This mat is as great as I hoped it would be. Perfect for my home practice. 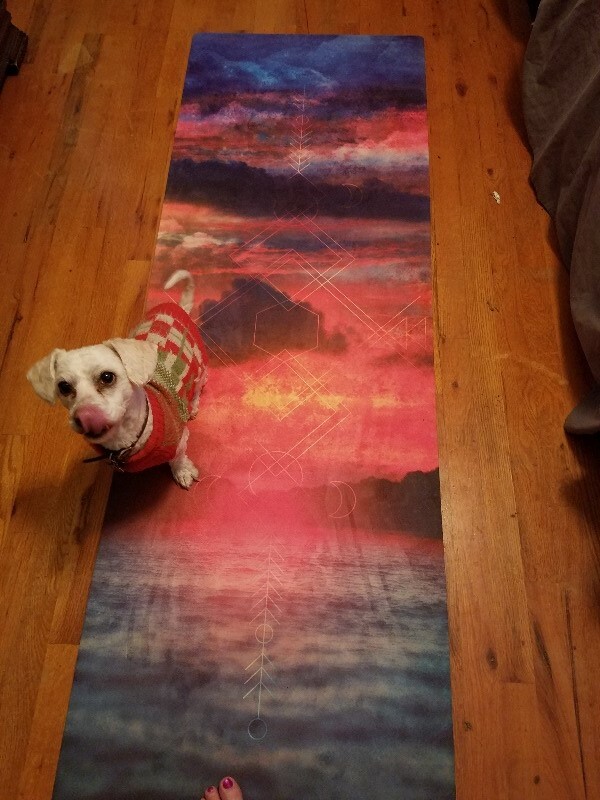 I absolutely love this mat, after practicing yoga for the past 8 years I needed an upgrade from my previous mat. Provides great support for joints (I have sensitive knees) in all poses, has a wonderful grip even when your palms get sweaty, and bonus points for being machine washable (although I haven't washed it yet)! The colors are vibrant and beautiful and the pictures provides a motivating scene to relax you during your practice. Love it!! After months of practicing I decided it was time for a better mat. I would recommend this for someone more advanced or at least strong. The material is easy to slide on so you have to hold firm. Otherwise I love the design and even the pattern helps to hold poses correctly since the lines are obvious front to back. 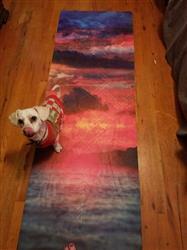 This is the most gorgeous yoga mat I could ever have the pleasure of practicing on. The grip is wonderful. I'm still adjusting to the microfiber texture but it's just had my modify a few poses. I definitely suggest this! It was a Christmas gift for our daughter. She got it the day of yoga class, saw the name on the box and opened it early (repent later) and LOVED it! We are on the east coast and she is on the west coast.